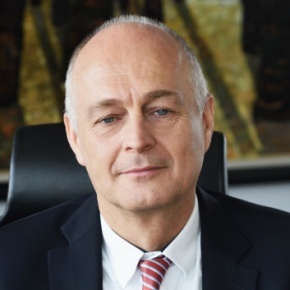 Frank Jansen is a Member of the Country Team of KBC Group for Bulgaria, Member of the Management Board of UBB, Executive Director Corporate and SME in UBB. He was appointed Executive Director and member of the Management Board of CIBANK in May 2008, following the acquisition of 75% of CIBANK’s capital by KBC Group – a Belgian bancassurance group - at the end of 2007. His professional career started as a manager of various retail and corporate branches of KBC Belgium. During the period 1999 – 2003 he consequently held the positions of Director CSOB Bank Prague and Executive Director of Kredyt Bank Poland, where he was responsible for credit risk management and consumer finance. From 2003 until his appointment at CIBANK he was General Manager for KBC France. Frank Jansen has a Master’s Degree in Law and a Master’s degree in Business Administration from the University of Antwerp.